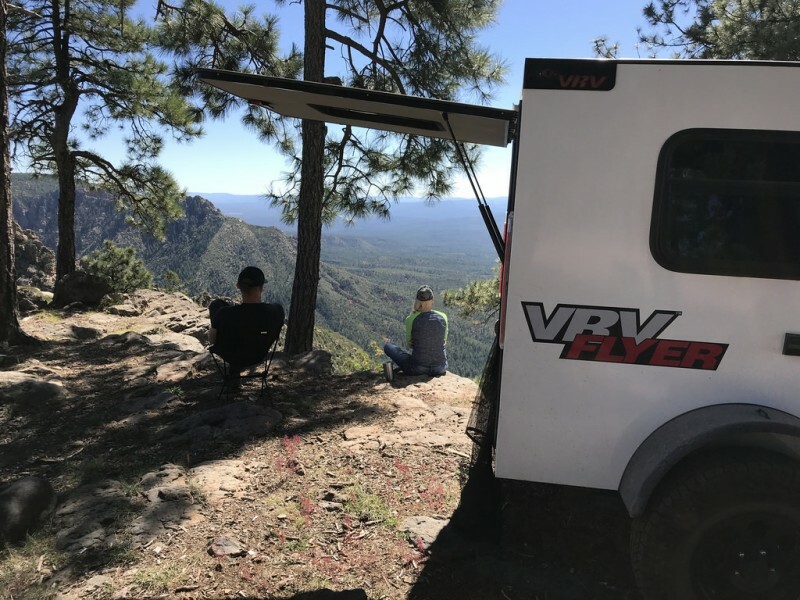 For several reasons we decided to sell our Turtleback Expedition trailer and try something new. 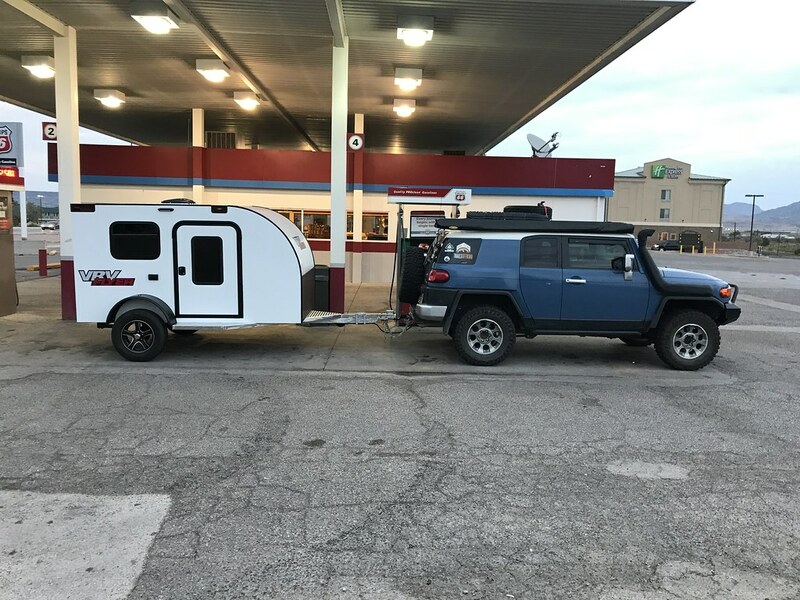 Turtleback makes great trailers. 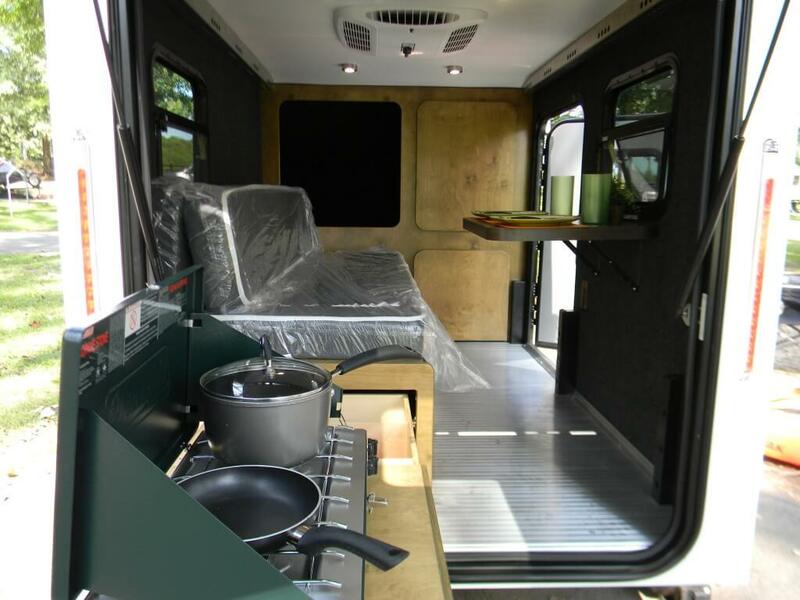 The kitchen and water setup in the Expedition are as close to perfection as you can get. We decided we wanted to try living indoors for a change. I tend to do a lot of winter camping trips and was getting tired of heating an RTT tent. So with the sale of the Turtleback a search was on for a budget friendly teardrop style trailer which would also allow for some DIY modifications over time. After a lot of research and some good options I decided to go with the VRV Flyer. I am 6' 5" tall. Many of the good teardrop designs out there just didn't fit well with me. Or better put my tall body didn't fit well into them. Kitchen and water or ability to add on my own. Currently VRV offers two trailer styles. The Eco model and Flyer. I was initially attracted to the Eco but when I saw how much room was in the Flyer it drew me in. After multiple conversation with the owner of VRV I sent a deposit. We met in New Mexico for delivery. Delivery day. Obligatory gas station pic. Cavernous storage. With under bed storage drawer driver side and open storage passenger side. A OZTent RV-5 fits inside under the bed. Couch mode with dog inspection. What I love about this trailer is the storage room and how comfortable the sleeping area is. I also added a magnetic bug screen to the back door. This was a off-the-shelf model but I have plans to order one that fits the exact size of the rear door area. I brought every piece of gear imaginable including an OZ Tent RV-5, double stove, grill, 3 chairs, water, gearboxes, you name it and it all fit in the trailer. 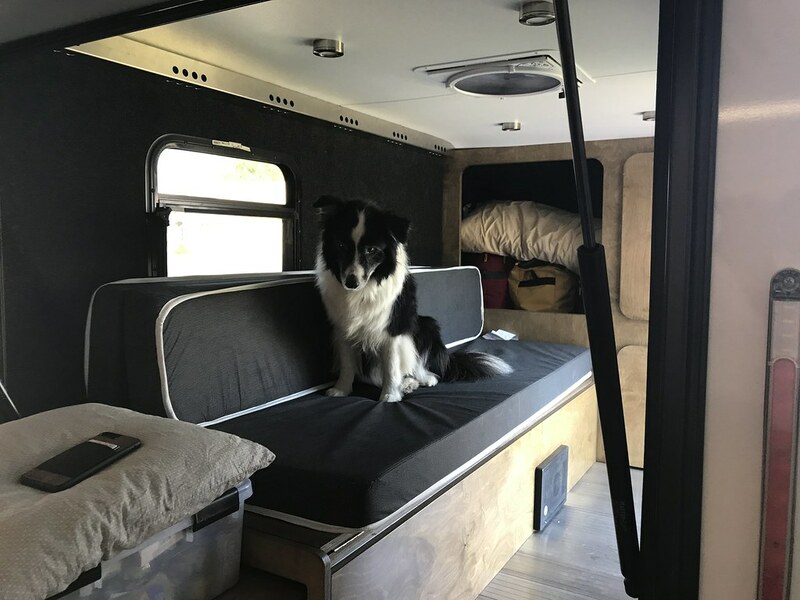 We finally have a platform where we can have fridge and dogs in the FJ and the rest of our gear in the trailer. Best of all with the way the bed is designed you don't have to place anything on top of the bed to then move when you are wanting to sleep. Just crawl in and go to bed. 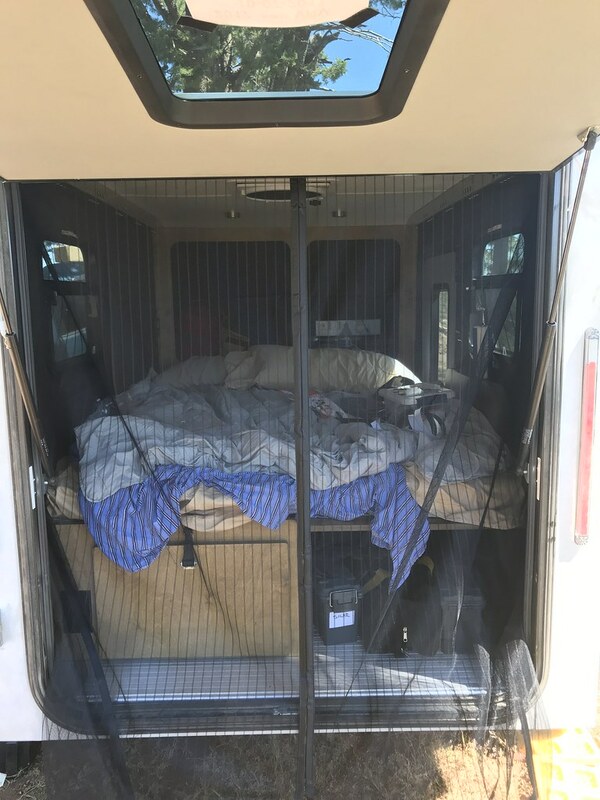 If conditions turn poor we can convert the trailer to "couch mode" and hang out inside with the table setup. Plenty of storage up front. We liked the open part so well we decided to remove the door on the right and just have it be an open area as well. 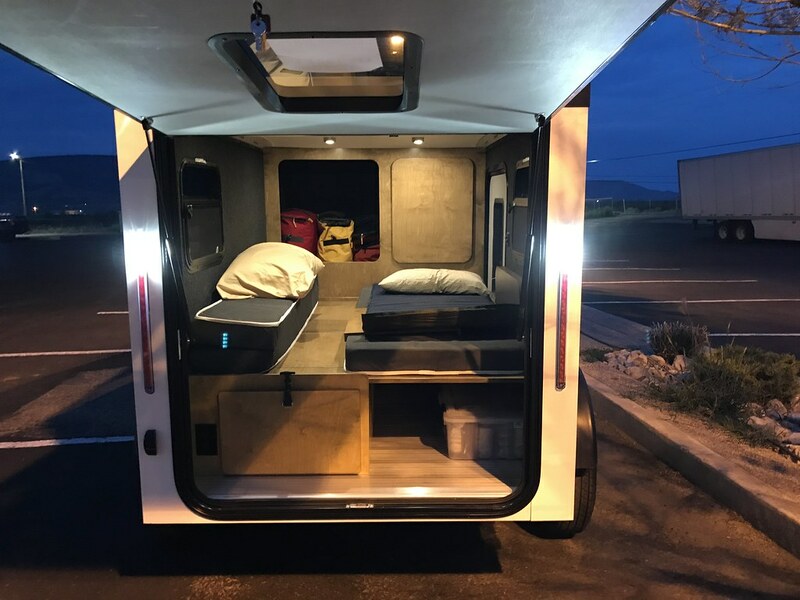 Plenty of room to tuck things away at night. Dual USB ports and a 12volt plug as well. 110 outlet requires a generator or shore power. Messy bed but no bugs and plenty of ventilation. DIY mods easily made the trailer more off-road capable. What would I improve on? 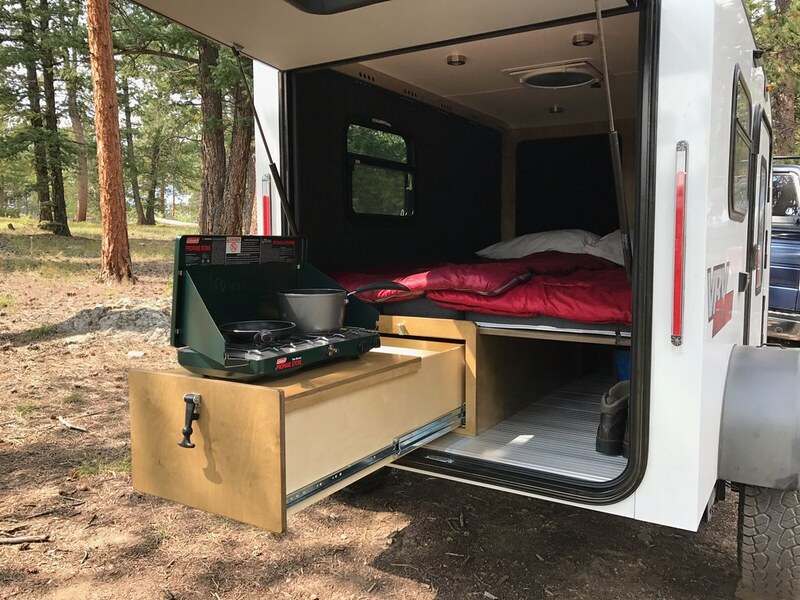 This is just a great camping platform. 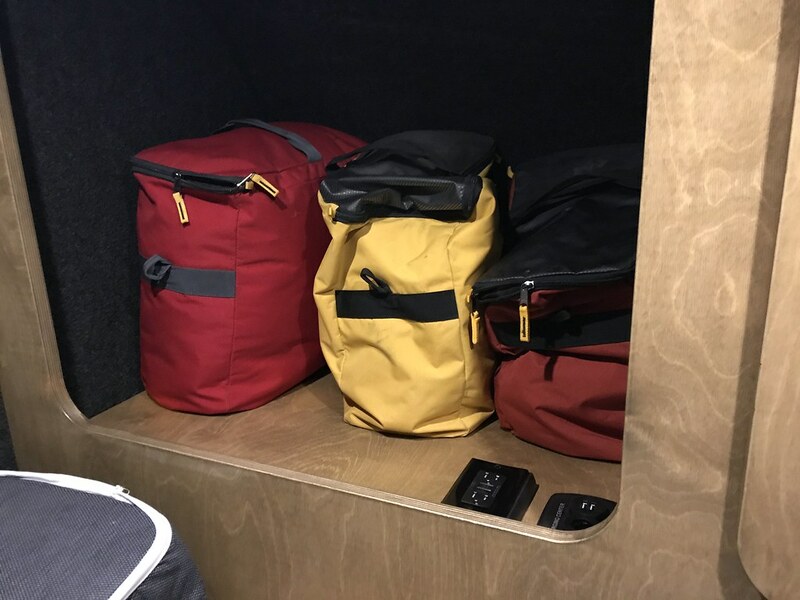 The trailer should be able to go to 75% of the places we went with our Turtleback and that's fine with me. With minor modifications it was easy to make it off-road capable. 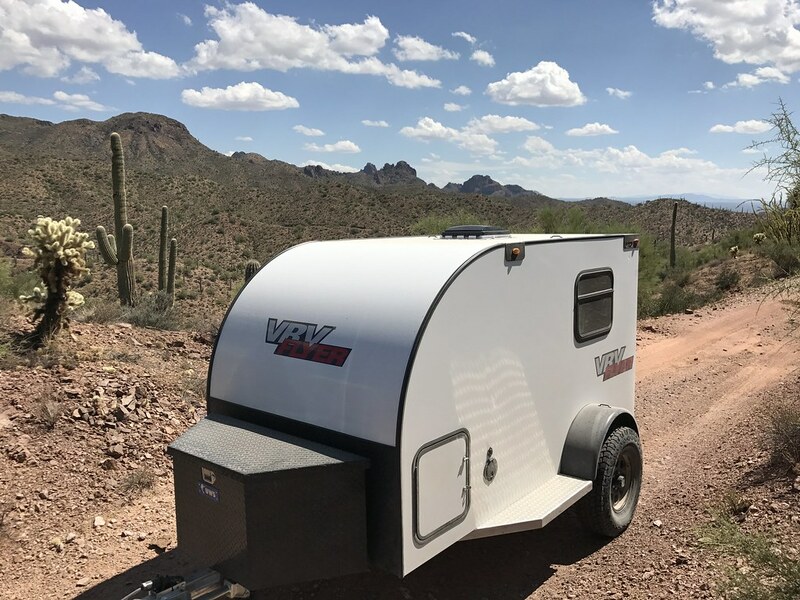 I like the trailer so much that I am a part of the customer referral program and I am considering becoming a dealer in AZ. There is no "perfect" trailer out there. Too many variables in the equation. Budget, size, weight, etc. After 2 DIY models and our Turtleback Expedition trailer we are going this route for now. I look forward to VRV's future designs and who knows we may switch to a different model down the road. Future posts will include the future modifications. As always sites like Overlandbound.com and ExpeditionPortal.com are excellent resources to do your trailer research on. The Ambush by Teardrops NW. For those looking for a traditional teardrop with a rear galley the Recon model is an excellent choice. I loved the design of the Ambush but felt cramped inside. If you are under 6' tall I would consider this model. Not saying a taller person can't fit. It is a matter of your required level of comfort. I took the time to pay the factory a visit and everyone there was great. 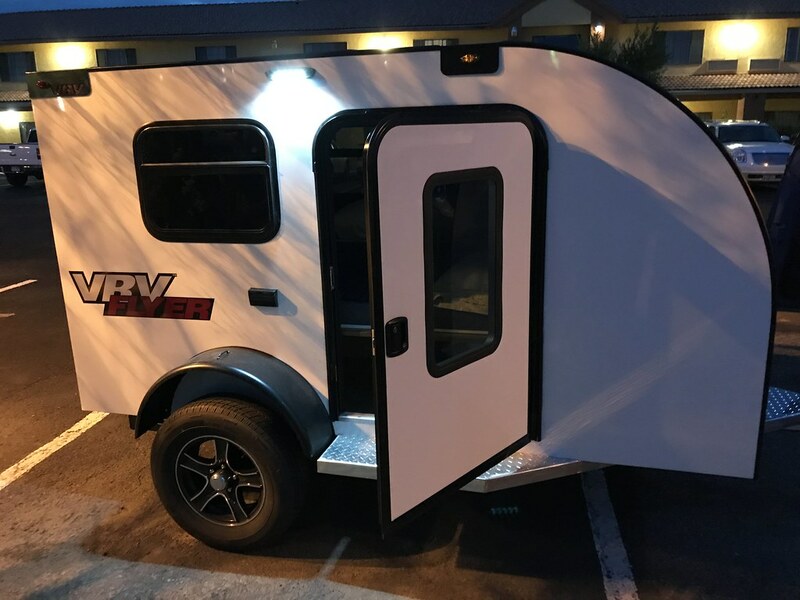 The Hiker Trailer by Leaddog Motorsports - A generally nice design with options for a water tank. These are very popular now with lengthy lead times. What I don't like about the offroad model is the tongue design. Both of these brands are worth consideration in addition to VRV. Added a propane tank holder and jerrycan holder to the driver side step. Added ArkPak XO Jack. If the trailer needs to be winched out of a spot this jack can handle it. This article includes a bit more information and photos. I am designing a water system for the trailer although I may hold off on this design and just use Scepter jerrycans and Waterbricks. Designing a roof rack system for the spare tire. I am going to use aircraft tie-down cargo rails and then 1" square tubing for the cross members. This will keep the tire as low as possible. It will be strapped down. Adding same cargo track rails to the interior of the trailer to keep storage boxes from bouncing around while traveling.